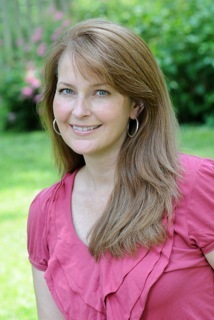 Chick Lit Central: Sarah Pekkanen's novels make my heart skip a beat! Sarah Pekkanen's novels make my heart skip a beat! To celebrate International Chick Lit Month right here, we're all doing tributes to some of our favorite authors. Here is what Amy Bromberg had to say about Sarah Pekkanen. What can I say about Sarah Pekkanen? Well to start with she's one of my favorite authors. I remember when I finished her first novel, "The Opposite of Me," I knew right away that I wanted to read more from Sarah. And then I did when "Skipping a Beat" came out, which I devoured in such a short amount of time. 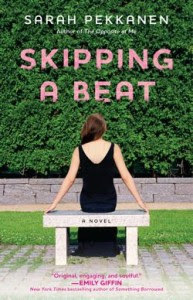 I actually reviewed "Skipping a Beat" for last year's CLC's review associate contest. As I was reviewing it, I felt like I was tearing it apart, chapter by chapter. Something about that experience made me feel like I was, in fact, the main character, Julia. 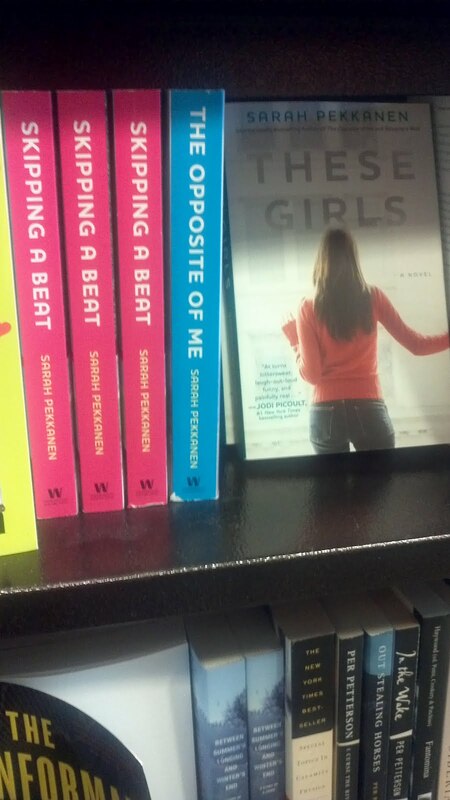 I was excited for so long for the publication of her latest novel, "These Girls." Surprise, surprise...I devoured it in less than TWO days! I had the most distinguished pleasure of meeting Sarah on Thursday, May 10th, at Watchung Booksellers in Montclair, NJ, where Sarah participated as part of an author panel. The minute I saw her walk through the doors I went crazy! Kind of like kids probably get when they wake up Christmas morning and see all of the presents under the tree. I was pretty impatient when she was making her way to the back of the store and saying hi to people...I was thinking to myself..."there's no need to stop and say hi to everyone Sarah...just come say hit to me!!" I remember giving her a big hug and didn't want to let go! Yes I know it's corny, but it's the truth. Even though I didn't have a lot of time to speak with Sarah, it still was such a joy meeting her and can't wait to see her again! I have to share with everybody how Sarah found her agent. When "The Opposite of Me" was finished, she had no idea what to do next. She glanced at a bunch of books at a book store and wrote down the names of each of the author's agents. She then went home and submitted her manuscript to all of them. Well sure enough one of them, Victoria, got back to her...YAY! Of course, Sarah was very excited, right?!? She wanted to do a little due diligence on Victoria, so she emailed one of the authors Victoria works with, to see what she's like, how she works, etc. The next thing she knew, she received a reply...another YAY! However, it was not the author who was replying...it was the agent...HOLY MOTHER OF GOD! This particular author was out on tour, and when she's away, guess who checks her email...Victoria. Can we just say that Sarah wanted to crawl in a hole right that very second? Well sure enough at the end of the email the agent said "I'm checking you out too." Well, they both lived happily ever after, and of course we all know how the rest of this story goes. You rock Sarah, keep up the fantastic work, and can't wait till number four! For anyone who hasn't yet learned how fantastic Sarah Pekkanen is, visit her at her website and on Facebook and Twitter. You can also check out the interview we did with her recently. I love Sarah's books too! What a wonderful tribute! Haha, I loved that agent story! I still need to read one of Sarah's books!